Want to improve your performance inside and outside of the pool? See these top fitness trackers for swimmers. Fitness trackers and sleep trackers have completely changed the way people enjoy fitness and monitor health, and they’re capable of handling much more abuse than a typical smart watch. These devices are designed to help you achieve your best physical output, and they can track metrics that you’d never be able to track in your head.If you’re a swimmer, you’re always trying to improve your stroke and achieve faster lap times. Maybe you’re not a competitive swimmer but want to track your results. To accomplish this goal, you’ll need a waterproof fitness tracker. However, since swimming requires you to become a human submarine, a water-resistant fitness tracker won’t work. You need a product that is completely sealed and shielded from the damaging effects of moisture. Devices that can’t survive a constant soaking won’t be included on this list. Once you own one of the best waterproof fitness trackers, you can get detailed statistics about your performance and use the data to improve. When you’re shopping for a waterproof tracker, you need to understand that these products are rated for certain depths. The airtight seal that protects the device from moisture is also responsible for protecting it from pressure. You’ll find that most trackers are rated up to a depth of 50 meters, which means you shouldn’t dive any deeper while wearing one. Several trackers have a seal that isn’t quite as strong, so they’re only protected up to a depth of 30 meters. To get a high-quality tracker, you should check for many of the same features that you’d get from devices that aren’t waterproof. An ideal product should be able to track metrics that are useful for swimming. For example, consider fitness trackers that can track distance traveled because it’s useful to know how much distance you’ve traveled while in the lap pool. As a swimmer, you should strive to stay in shape, and it will be much easier to stay in shape if you know how many calories you’re burning. Many of the newest trackers can be set for a specific activity. Since you’re a swimmer, you can set the device for swimming and get accurate data for how many calories you’ve burned. Another useful feature to check for is heart rate monitoring. You should choose a fitness tracker that constantly monitors your heart rate. If you can monitor your heart rate, it will be much easier to strive for peak performance. Battery life is another important consideration because you don’t want a dead battery to interrupt your swimming sessions. It can take quite a bit of effort to get ready for a swimming session, so it’s important to have a device that will always be charged and ready. A waterproof fitness tracker can help you set goals and become a better swimmer, but if it doesn’t fit correctly, it’s almost useless. To be a good swimmer, you must dive underwater and practice your technique. You need a fitness tracker that can withstand the constant motion that is required for swimming. Since you won’t have any clothes to attach the device to, you need one that can be worn around your wrist. Below, you’ll find reviews for 10 of the best waterproof fitness trackers on the market. The MOOV NOW is a great fitness tracker for swimmers. To help athletes improve their game, it offers real-time tracking and coaching. 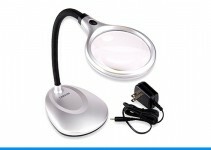 It features a small, lightweight design and delivers long-lasting battery life. Many other fitness trackers make the assumption that you know what you’re doing. The MOOV NOW doesn’t make this assumption because it acts like your own personal coach. 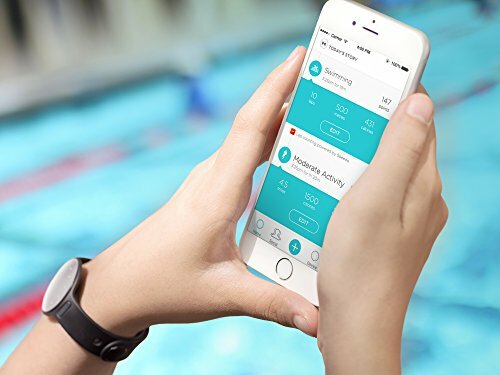 When it’s paired with a smartphone, it uses an audio guide to walk you through swimming, running, cycling and boxing programs. The MOOV NOW is available in several different colors and receives power from a replaceable coin battery. It has a magnetometer, gyroscope and accelerometer, and these features have the ability to track five different activities. Although this fitness tracker isn’t specifically designed for swimmers, it has many of the features that you should be looking for. The battery life is good for six months, and the wristband is comfortable enough for the constant motion associated with swimming. The MOOV NOW offers lap breakdowns and gives you information about rests, turn time, strokes and lap time. It can highlight your fastest 100, and it will even show you your longest continuous swim. Since this device is completely waterproof, you can wear it underwater and not have to worry about it getting ruined. Here we have another great fitness tracker for swimmers. 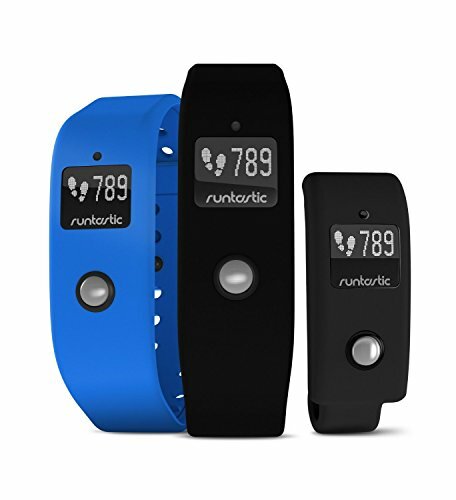 The Runtastic Orbit can track calories burned, active minutes, ambient lighting and goals. It features an OLED display and Bluetooth smart technology. Since this device is waterproof up to 300 feet, you can dive deep and accomplish your fitness goals. The Runtastic Orbit is also a great choice for runners because it uses the Runtastic app. This fitness tracker has plenty of functionality to offer, but it also comes with two wristbands and a clip. The wristbands are great for swimming and keep the device securely attached to your wrist. The data output and tracking capabilities make the Runtastic Orbit extremely robust, and it’s compatible with the newest versions of Bluetooth. This device will measure sleep, calories burned and distance. Like the inner electronics, the display is waterproof. You can find apps for this tracker available on iOS and Android. 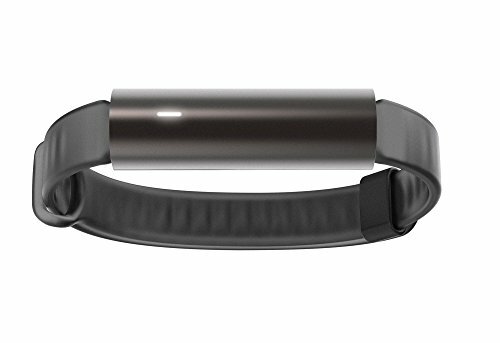 If you decide to purchase this tracker, you’ll find that it’s very similar to the Fitbit Force. The OLED display is large enough to see with a glance, and it allows you to quickly cycle through your data. If you want to wake up early, you can set the silent alarm. You won’t find too many other trackers that are as versatile as the Runtastic Orbit. The Polar M400 is a GPS running watch, but it can be a great tool for swimmers. It can track your sleep and supports push notifications. There are several colors to choose from, and the battery life is great. With built-in GPS technology, this fitness tracker lets you track altitude, distance and pace. It’s also capable of tracking sleep quality, steps, calories burned and distance. With advanced technology, it can accurately track your heart rate and let you know when you’re operating with the optimal level of intensity. It features a sporty design and makes it easy to track important metrics for swimming. You can use it to set individual training targets and take it anywhere. The Polar M400 offers 24-hour activity tracking, and it will let you know if you’re getting high-quality sleep. 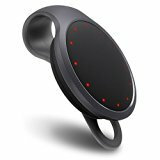 Like most other fitness trackers, it records your calories, distance and steps. 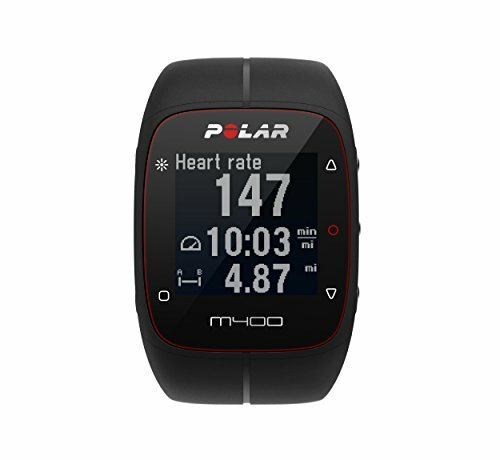 The Polar M400 features a monochrome LCD face, which doesn’t offer the best screen resolution. However, if you need a waterproof fitness tracker and need it to track important metrics, then this could be a great option for you. One of this product’s greatest features is the battery life, which should last up to 15 days. It’s important to remember that the GPS unit uses a lot of electricity, and to save battery life, you need to turn it off. This fitness tracker is made for swimmers and features a waterproof seal. It allows you to track swim distance and laps, and it tracks these metrics with amazing accuracy. It sends you vibration alerts for text and call notifications, which makes it easier to stay in contact with friends and family. The Misfit Shine 2 can give you movement reminders and tracks several important metrics. Some important data points that are tracked by the Misfit Shine 2 are calories, distance, steps and sleep. Since it uses a replaceable battery, there is no need to charge the device. The replaceable battery should last up to six months, which gives you plenty of time for swimming. This fitness tracker is made out of aircraft-grade aluminum and can track swim distance and lap count. It offers industry-leading accuracy and has a timer countdown. 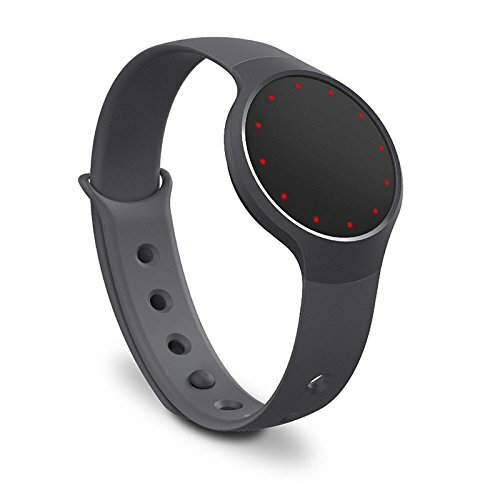 The Misfit Shine 2 is especially useful for swimmers because it can work for all stroke types. With IOT compatibility, it allows you to control connected devices. The company that makes this product understands that life is like a relay, and you need powerful features to get through every part of the race. The Misfit Shine 2 Swimmer’s Edition covers sleep, swimming activity and several important metrics. The timer countdown is particularly useful and works great for any stroke type. Since the Misfit Shine 2 is always on, it constantly records your activity and makes the data easy to read. The next product on the list is the TomTom Spark. This GPS sport watch has a built-in Bluetooth music player, which lets you train with your favorite songs. You can wirelessly connect and listen to over 500 different songs. Since it’s made with a waterproof design, this fitness tracker is perfect for swimmers. With a built-in heart rate monitor, it will tell you how fast your heart is beating, so you’ll always know if you’re giving 100 percent of your effort. The TomTom Spark has an activity tracker and can give you information about sleep, calories burned, pace, speed, distance and time. You can get all of these stats while on the go, and the advanced features can help you to stay motivated. This device has a long-lasting battery, and it will allow you to store, sync and share your swimming sessions, which is helpful for self-reflection and improvement. The TomTom Spark is made with a tough, stretch-resistant display, and it has Bluetooth connectivity. It’s waterproof up to 40 meters and offers five full hours of battery life. The internal storage is capable of holding three gigabytes of music, which can keep you active when you’re not swimming. 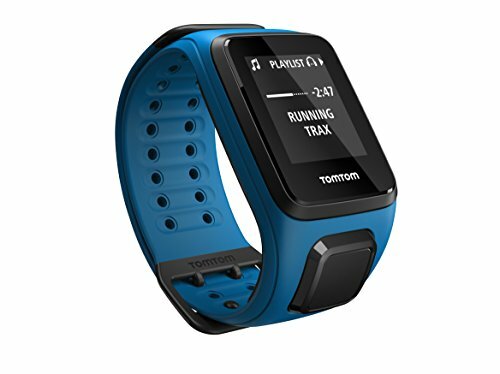 The TomTom Spark has multisport mode, GPS tracking, constant heart rate monitoring and goal setting. 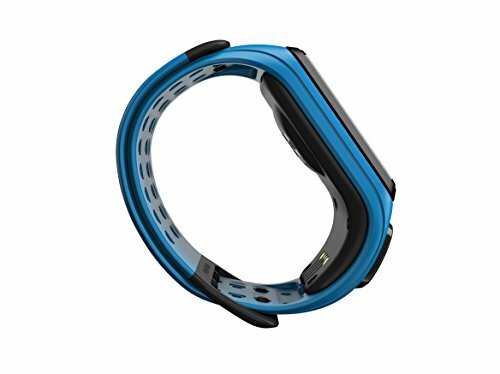 When shopping for fitness trackers for swimmers, you can’t forget about the Garmin Vívoactive HR. It has a waterproof design and delivers accurate heart rate monitoring. The GPS feature is useful for tracking a variety of metrics, and it’s particularly useful for swimming. This tracker gives you access to the app store, and the battery life is above average. As an improved version of the Garmin Vívoactive, this model offers several additional benefits over the older model. However, most of the features are the same. The biggest difference is the continuous heart rate monitor, which the previous model doesn’t have. The Garmin Vívoactive HR gives you access to sleep tracking, built-in GPS technology, weather reports and push notifications. It’s made of durable, black plastic, and with a flat, rigid watch face, you’ll never forget you’re wearing it. To stay secured to your wrist, this device uses a watch-like rubber strap. It features a touch-screen color LED display, which isn’t nearly as sharp as what you’d get from some of the Fitbit trackers. Fortunately, the screen is easy to navigate and lets you keep track of distance, calories, steps and intensity. The battery is designed to last for eight days, and the Garmin Vívoactive HR has an intensity feature, which is great for measuring aerobic activity progress. The Misfit Ray fitness tracker features a waterproof design and will work great for swimming. To keep you updated on calls and texts, it delivers vibration alerts. You can also set it up to get alerts for movement reminders and alarms. For easier control over household devices, you can use the built-in Smart button. With an anodized aluminum cylinder, this device is waterproof and can be used for swimming. It has a multicolor LED progress display, which makes it easy to keep track of your progress. It automatically tracks calories, distance, sleep and steps. Since the Misfit Ray uses replaceable batteries, it doesn’t need to be charged. With a standard battery, it can run for six months, which gives you plenty of time to swim. To become the best swimmer, performance is critical, and this fitness tracker gives you many of the features that you need to improve. Although it doesn’t give you specific swimming features, it’s one of the best trackers for swimmers. It has a minimalistic design and should have no trouble keeping you motivated. The aluminum cylinder blocks water pressure up to 50 meters, so you can wear it inside of most pools. Since it delivers plenty of data, the Misfit Ray fitness sleep tracker can help you improve and become a better swimmer. The Polar A360 is for serious swimmers. 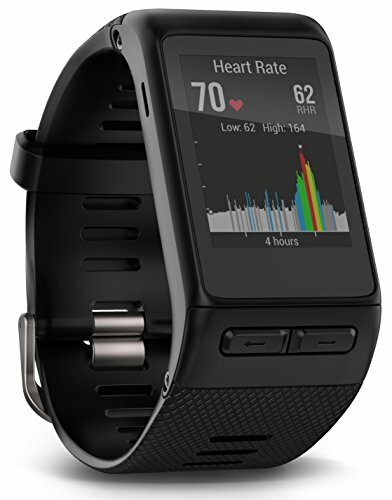 It comes with a built-in heart rate monitor and can provide accurate activity data. 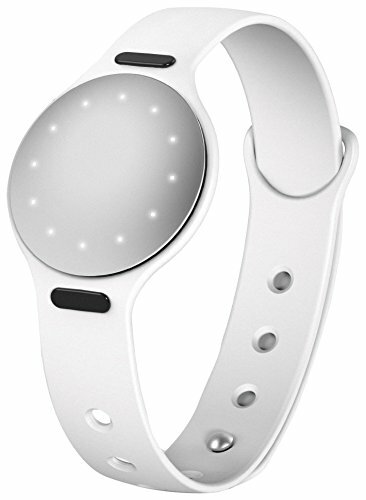 It’s a wrist-based fitness tracker and monitors your heart rate through your wrist. Unlike many other products, this fitness tracker offers personalized training, so you have a better shot at reaching your goals. The activity tracker is great for recording your sleep quality, calories burned, distance and steps. Since it’s a 24-hour monitor, it’s constantly recording data, which can be used to improve your technique. One of this product’s greatest features is the bright, colorful touch screen. When it has important notifications to show you, it uses vibrations to let you know. It even has an alert for inactivity, so you can make sure that you’re always on the move. The Polar A360 is waterproof and can be used inside of most swimming pools. The waterproof design makes it a great choice for swimmers. 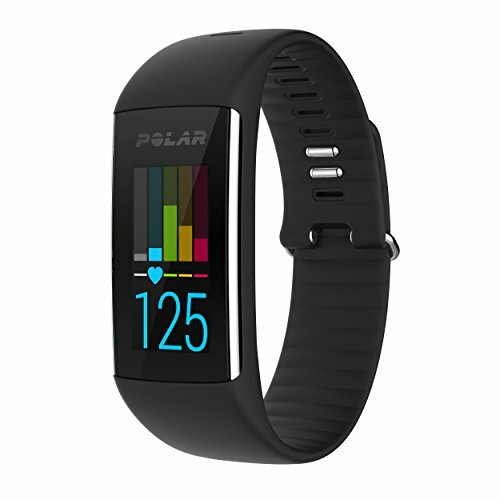 To help you become a better athlete, the Polar A360 provides helpful coaching and optimal battery life. It’s comfortable, waterproof and stylish. If you’re someone who enjoys swimming and walking, then this fitness tracker should be able to help you improve. Another fitness tracker that is worth considering is the Misfit Wearables Flash. It’s incredibly affordable and records basic information. 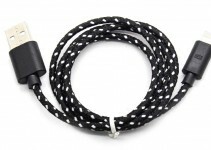 It’s a great choice for swimmers because it’s completely waterproof. It has a Smart button that lets you control a connected household device. A red LED progress light keeps you moving, and the Misfit Wearables Flash has a splash-proof disc. It displays the time and lets you wirelessly sync with a smartphone. Once the device has been synced, you can obtain valuable activity data and improve your technique. This fitness tracker will record calories, sleep activity, steps and distance. The replaceable battery will power the device for six months, so you don’t have to worry about charging. This fitness tracker includes a wearable wristband, and it makes it easy to upload vital workout data. There are six different colors to choose from, and the Misfit Wearables Flash is compatible with most types of iPhones. 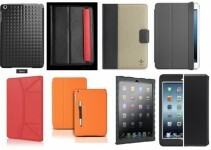 You can also sync it with several versions of the iPad, Samsung Galaxy S4 and Google Nexus. The Misfit Wearables Flash can help you get into shape and improve your swimming technique. It makes it very easy to track your progress and takes the guesswork out of improving your performance. If you want one of the best fitness trackers that money can buy, consider the Garmin Forerunner 735XT. It’s one of the lightest trackers on the market and offers significantly more functionality than many of the alternatives. It features an attractive style and uses comfortable silicone bands to wrap around your wrist. The Garmin Forerunner 735XT is designed to look like a standard wrist watch, but you won’t find anything standard about the functionality. It can be set for several different activities, and swimming is one of them. 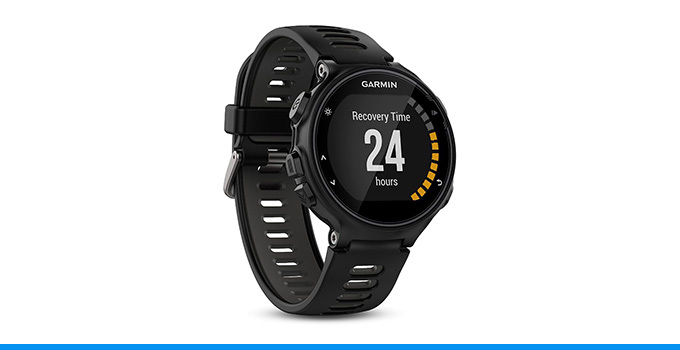 On days that you don’t feel like swimming, you can set the Garmin Forerunner 735XT for paddle sports, hiking, cardio, strength, cycling or running. It offers 24-hour heart rate monitoring and offers several additional features. 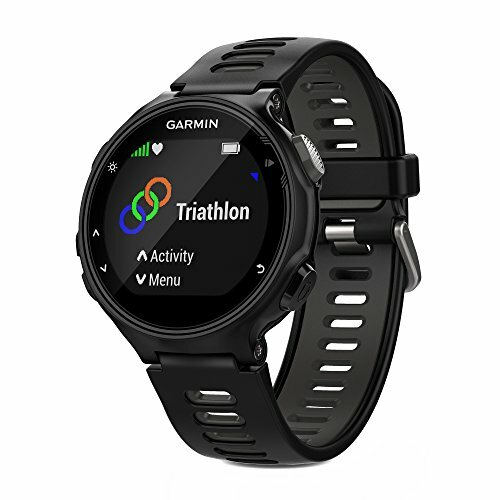 A few features that you can expect from the Garmin Forerunner 735XT are music controls, audio prompts, smart notifications, social media sharing and live tracking. The smart notifications make it so that you never miss important messages. This fitness tracker is an excellent choice for triathletes, and it delivers a wide variety of useful features. With a waterproof design and superior battery life, the Garmin Forerunner 735XT is ideal for swimmers, but it’s also great for several different fitness activities.